More 1 Page Partial Poems underway! 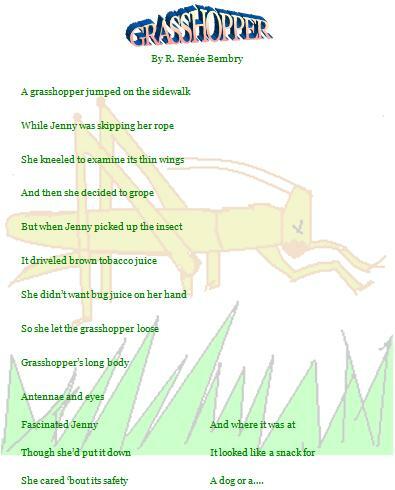 Grasshopper is the poem for Theme Story 1 poetry lesson. Click here to become a Member and get your FREE Poetry Booklet Cover Sheet today! Designer Poetry Pages are poems with designs in their backgrounds. Designer Poetry on this page are portions of one-page poems. Designs and poems are not fully displayed in these samples. MSAP calls partial displays "Partial Poems" set in Designer Pages. Designer Page poems and verses are created by R. Renée Bembry and can be stored in binders or decorative boxes or framed for displaying. Assembling poetry pages in decorative binders or boxes protects the pages and makes sharing easy. MSAP prints children's poems in the same designs as R. Renée Bembry poems when children write to Theme-Stories. MyStoriesAndPoems purpose for developing this poetry collecting method is to provide an alternative to buying poetry books. Poetry books often contain poems readers like and even some they don't like. With MSAPs collecting system, poetry lovers choose which poems they want in their collections. 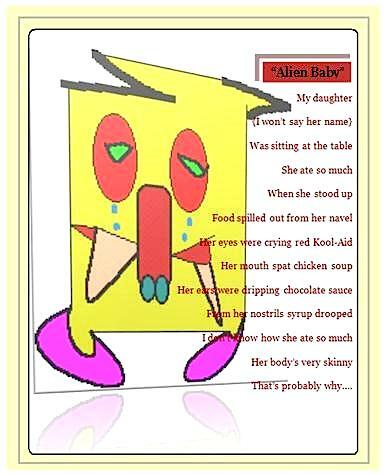 Order to get the complete versions of these humorous Poems. Get more info about Ordering Designer Poetry Pages here. Learn about hitchiking bedbugs before you travel! Birthday Barbie + Tiara & Card Birthday Barbie wears pink gown and pink tiara crown. Matching crown included for birthday girl. 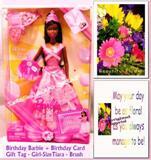 Each Barbie comes with a colorful flowery MyStoriesAndPoems.com Happy Birthday card. A gift Tag is attached to each box with a soft pink ribbon. Brush for Barbie also included.